David S. Moore is Shanti S. Gupta Distinguished Professor of Statistics, Emeritus, at Purdue University and was 1998 president of the American Statistical Association. He received his A.B. from Princeton and his Ph.D. from Cornell, both in mathematics. 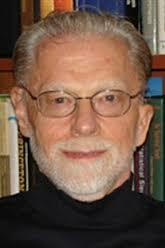 He has written many research papers in statistical theory and served on the editorial boards of several major journals. Professor Moore is an elected fellow of the American Statistical Association and of the Institute of Mathematical Statistics and an elected member of the International Statistical Institute. He has served as program director for statistics and probability at the National Science Foundation. In recent years, Professor Moore has devoted his attention to the teaching of statistics. He was the content developer for the Annenberg/Corporation for Public Broadcasting college-level telecourse Against All Odds: Inside Statistics and for the series of video modules Statistics: Decisions through Data. Source: http://www.whfreeman.com/catalog/Author/davidmoore See also David S. Moore in Wikipedia. Interview with David Moore by Allan Rossman and E. Jacquelin Dietz. On statistics education for undergraduates (majors or not) and perhaps secondary school students: "little of real substance has changed in the past 20 years, the 1997 advent of AP Statistics being the most significant exception." Journal of Statistics Education, Volume 21 , Number 2 (2013 ). 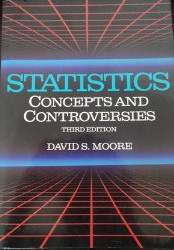 A Generation of Statistics Education: An Interview with Frederick Mosteller by David S. Moore (JSE, 1993). Per David Moore: "Please be aware that my texts are now other hands, all except Basic Practice and Essential Statistics for some time, even though they continue to bear my name. 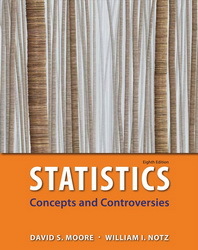 In one case (Exploring the Practice of Statistics) I had no involvement in preparing the text. Please direct text questions to the current authors." 8th ed. 7th ed. 6th ed. 5th ed. 3rd ed. 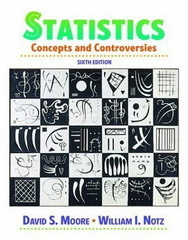 Preface (3rd edition): This is a statistics book for readers interested in ideas rather than technique. It presents, in a non-technical form, the most important statistical concepts as they are applied in public policy, the human sciences, and everyday life. It is designed to give non-mathematical readers critical insight into the uses and misuses of numbers and quantitative arguments, which are increasingly prevalent in fields ranging from sociology to medicine to literary analysis. The goal is not to train statisticians, but to present statistics as a useful tool for clear thinking in personal and professional life. The third edition has been revised and updated, placing more emphasis on giving students hands-on experience with data. Chapters 4 and 5 have been reorganized into a more logical arrangement. Many new examples and exercises have been added. --This text refers to an alternate Paperback edition. 1988: "Should mathematicians teach statistics" (with discussion), College Mathematics Journal , 19 , 3-7. doi:10.2307/2686686. JSTOR 2686686. "Remarks on receiving the MAA's national award for college or university teaching. This is the closest I have come to the fashionable 'statement of teaching philosophy'." "Higher education faces an environment of financial constraints, changing customer demands, and loss of public confidence. Technological advances may at last bring widespread change to college teaching. The movement for education reform also urges widespread change. What will be the state of statistics teaching at the university level at the end of the century? This article attempts to imagine plausible futures as stimuli to discussion. It takes the form of provocations by the first author with responses from the others on three themes: the impact of technology, the reform of teaching, and challenges to the internal culture of higher education." "Multimedia presentation combines text, sound, still images, full-motion video, animation, and computer graphics in a single computer-based system. The user interacts with the system via keyboard and mouse. Such systems have considerable promise for teaching. In particular, they encourage constant active participation by the learner and can adapt to individual differences in preparation, pace, and learning style. This paper examines the pedagogical (as opposed to technical) issues in using multimedia technology for teaching statistics. It points to weaknesses as well as advantages, and attempts to make clear what is known and what remains to be understood. It argues that human teachers will remain essential to support the social aspects of learning (especially motivation) and for assessing learning." "Is it reasonable to teach the ideas and methods of Bayesian inference in a first statistics course for general students? This paper argues that it is at best premature to do so. Surveys of the statistical methods actually in use in several fields suggest that Bayesian techniques are little used. A reading of Bayesian texts and research suggests that Bayesians have not yet agreed on standard approaches to standard problem settings. Finally, an emphasis on Bayesian inference might well impede the trend toward experience with real data and a better balance between data analysis, data production, and inference in first statistics courses." "Dedicated to Shanti S. Gupta, chair of the Purdue Statistics Department during most of my career. Ought we to base beginning instruction in statistics for general students on the Bayesian approach to inference? In the long run, this question will be settled by progress (or lack of progress) in persuading users of statistical methods to choose Bayesian methods. This paper, a companion to the one listed above, is primarily concerned with the pedagogical challenges posed by Bayesian reasoning. It argues, based on research in psychology and education and a comparison of Bayesian and standard reasoning, that Bayesian inference is harder to convey to beginners than the already hard reasoning of standard inference." "Statistical education now takes place in a new social context. In addition, it is influenced by a movement to reform the teaching of the mathematical sciences in general. At the same time, the changing nature of our discipline demands revised content for introductory instruction, and technology strongly influences both what we teach and how we teach. The case for substantial change in statistics instruction is built on strong synergies between content, pedagogy, and technology. Statisticians who teach beginners should become more familiar with research on teaching and learning and with changes in educational technology. The spirit of contemporary introductions to statistics should be very different from the traditional emphasis on lectures and on probability and inference." 1997: "Mathematics, Statistics, and Teaching". D. Moore and G. Cobb. American Mathematical Monthly, 104 (1997), 801-823. "How does statistical thinking differ from mathematical thinking? What is the role of mathematics in statistics? If you purge statistics of its mathematical content, what intellectual substance remains? In what follows, we offer some answers to these questions and relate them to a series of examples that provide an overview of current statistical practice. Along the way, and especially towards the end, we point to some implications for the teaching of statistics." "The liberal arts are usually understood to be general and flexible modes of reasoning. By this definition, statistics qualifies as a liberal art, and it is important to the health of the discipline that it be recognized as such. The ``philosophical'' tradition of the liberal arts that is now dominant has alternated with an ``oratorical'' tradition that also gives insight, as do ideas of ``evolutionary psychology.'' This paper considers how understanding statistics as a liberal art influences our appreciation of the discipline and especially our teaching of beginners. " Invited discussion of the Presidential Address by Professor Des Nichols. "The gradual distancing of statistics from mathematics, due mainly to the fact that statistics has changed much more rapidly than mathematics, carries risks for both disciplines. Statistics risks dissipating back into the many fields from which it coalesced or being swallowed by broader information technology. Mathematics risks following academic philosophy into irrelevant profundity. In fact, statistics has cultural strengths that might greatly assist mathematics, while mathematics has organizational strengths that can provide shelter for academic statistics. Moreover, mathematics and statistics are natural intellectual allies in the debate over the relative roles of thought and automation. Increased cooperation between professional societies could benefit both fields. We offer some specific suggestions for such cooperation." "This paper is the keynote address from a symposium, 'Opportunities in Undergraduate Education' sponsored by the American Statistical Association at the 2000 Joint Statistical Meetings. The paper offers background information relevant to planning undergraduate programs in statistics and some opinions based on this information." "This paper introduces a special section on preparing graduate students to teach. It provides background and raises issues to keep in mind when reading the papers that follow, which describe the teacher preparation programs of several leading graduate departments." 1998: Statistical Literacy and Statistical Competence in the 21st Century. MSMESB Univ. Iowa Abstract-only. "Educated people face a new environment at century's end: work is becoming intellectualized, formal higher education more common, technology almost universal, and information (as well as mis- and dis-information) a flood. In this setting, what is statistical literacy , what every educated person should know? What is statistical competence, roughly the content of a first course for those who must deal with data in their work? One might define competence as what we hope a business statistics student will retain five years later." In some of these slides, Professor Moore presented this challenge: "If the rocket goes up, I don't care where it comes down" In 2013, when asked for an explanation, he said "The "If the rocket ..." line is from the classic Tom Lehrer song "Werner von Braun." In that context it referred to a technical expert being satisfied with technical success without regard for real world consequences or moral issues." Professor Moore also presented this challenge: "Does statistics have a core?". When asked for an explanation in 2013, he replied, "As you might guess, I have no idea what I said 12 years ago to accompany that line in the projected outline. Probably something like statistics in practice is more than technique." 1968: Asymptotically nearly efficient estimators of multivariate location parameters (now in reprint form). TR68-10. Published in Annals of Mathematical Statistics, Vol. 40, pp. 1809-1823, 1969. 1968: Uniform consistency of some estimates of a density function. [TR68-99] E. G. Henrichon, D. S. Moore. Published in Annals of Mathematical Statistics, Vol. 40, pp. 1499-1502, 1969. 1969: Asymptotically nearly efficient procedures for bivariate location parameters. [TR69-99] Annals of the Institute of Statistical Mathematics, Vol. 22, pp. 41-49, 1970. 1969: A chi-square statistic with random cell boundaries. [TR-206] Published in Annals of Mathematical Statistics, Vol. 42, pp. 147--156, 1971. 1986: David S. Moore, Tests of chi-squared type, in Ralph B. D'Agostino and Michael A. Stephens, (eds. ), Goodness-of-Fit Techniques, Marcel Dekker, New York, 1986, pp. 63-95. 1970: Asymptotically efficient estimation by local-parameter approximations. Published in Annals of the Institute of Statistical Mathematics, Vol. 24, No. 2, pp. 299-308, 1972. 1972: A note on Srinivasan's goodness of fit test. [TR-293] Published in Biometrika, Vol. 60, pp. 209-211, 1973. 1975: A unified large-sample theory for chi-square statistics for tests of fit. D. S. Moore and M. C. Spruill. Published in The Annals of Statistics, Vol. 3, No. 3, pp. 599-616, 1975. 1976: Large sample comparison of tests and empirical Bayes procedures. J. C. Kiefer and D. S. Moore. Published in On the History of Statistics and Probability, Editor D.B. Owen, Marcel Dekker, Inc., 1976, pp. 349- 365. Statistical Decision Theory and Related Topics, Editors. S.S. Gupta and D.S. 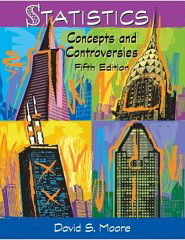 Moore, New York: Academic Press, pp. 139-155. 1975: Variance comparison for unbiased estimators of probabilities of correct classifications. D. S. Moore, S. J. Whitsitt, D. A. Landgrebe. [TR-401] Published in IEEE Transactions on Information Theory, Vol. 22, pp. 102-105, 1976. 1975: Generalized inverse, Wald's method, and the construction of chi-square tests of fit. [TR-405] Published in Journal of the American Statistical Association, Vol. 72, pp. 131-137, 1977. 1977: Consistency properties of nearest neighbor density function estimators. D. S. Moore and J. Yackel. Published in The Annals of Statistics, Vol. 5, No. 1, pp. 143-154, 1977. 1977: Large sample properties of nearest neighbor density function estimators. D. S. Moore and J. W. Yackel. Published in Statistical Decision Theory and Related Topics, II, Editors S.S. Gupta and D.S. Moore, pp. 269-279, Academic Press, 1977. 1978: Chi-square tests. [TR-469] Published in Studies in Statistics, Editor R. Hogg, pp. 66-106, 1978. 1978: Chi-square tests for multivariate normality with application to common stock prices. D. S. Moore and J. B. Stubblebine. 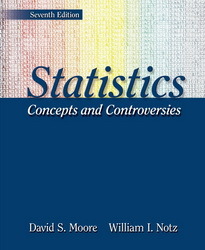 [TR78-17] Published in Communications in Statistics, Vol. A10, pp. 713-738, 1980. 1980: The effect of dependence on chi-square tests of fit. [TR80-21] Published in Annals of Statistics, Vol. 10, pp. 1163-1171, 1982. 1982: The effect of dependence on chi-squared and empiric distribution tests of fit. L. J. Gleser, D. S. Moore. [TR82-21] Published in Annals of Statistics, Vol. 11, pp. 1100-1108, 1983. 1983: Measures of Lack of Fit From Tests of Chi-Squared Type. [TR83-12] Published in Journal of Statistical Planning and Inference, Vol. 8, pp. 151-166, 1984. 1983: Chi-Squared Tests of Fit - A Survey for Users. [TR83-53] Published in Goodness of Fit Techniques, Editors R. D'Agostini and M. A. Stephens, pp. 63--95, 1986. 1984: The effect of positive dependence on chi-squared tests for categorical data. L. J. Gleser and D. S. Moore. [TR84-20] Published in Journal of the Royal Statistical Society, Vol. B47, pp. 459--465, 1985. 1984: Positive Dependence in Markov Chains. L. J. Gleser and D. S. Moore. [TR84-22] Published in Linear Algebra and Applications, Vol. 70, pp. 131-146, 1985. 1986: Computers in statistical research. Statistical Science 1 (1986) 419-437 (with W. F. Eddy et al.). 1989: Power approximations to multinomial tests of fit. Journal of the American Statistical Association 84 (1989) 130-141 (with J. Oosterhoff et al.). 1989: Asymptotic error bounds for power approximations to multinomial tests of fit. Contributions to Probability and Statistics: Essays in Honor of Ingram Olkin. Springer, 1989, 385-402. (with J. Oosterhoff et al. ).